The most popular May posts lead with the copywriting case study of a $400,000 target project that generated $600,000 in the one week the offer was open. So far, almost a thousand people have been interested in how this was accomplished. As we saw in the development of the movie Alien, success is often the result of the combination of expertise from many people. 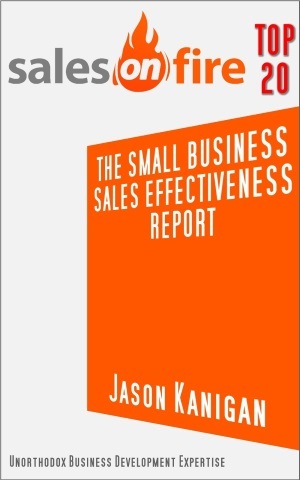 With the success The Small Business Sales Effectiveness Report has had on Amazon/Kindle, it's no wonder many people have been very happy to pick it up here for free. Many small business owners, consultants and sales executives struggle with finding the right customers. This free report gives you the one huge secret that enables you to uncover clients who will pay you well, treat you well, and know other such people. 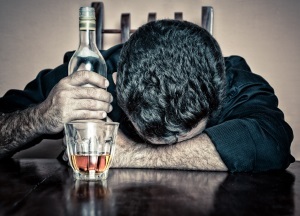 Making a return to the Most Popular May Posts list from its inclusion for March, this post on discovering your target market's pain points has received a lot of attention. Developing rapport quickly is a critical path to having an open and honest dialogue between you and your prospect, and communicating your niche's pain points is a highly effective way of accomplishing this. You must know your prospect's jargon and key issues you can resolve. Communicating these things up front gives you instant credibility, and opens the door to further discussion. You are looking for information on what works. A copywriting case study is a rare thing, from me or anyone, and here we have details about a big ticket program with great results. Additionally, everyone who is struggling to get clients--especially the right kind of clients--needs to know the difference that makes the difference in your sales process. 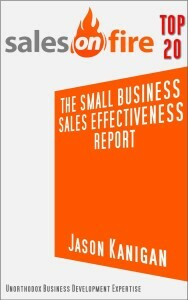 The free report on sales effectiveness gives you this. And finally, we're going to be looking at pain points for a long time, aren't we. I'm sure we'll see this article surfacing again, not just in the Most Popular May Posts here on SalesTactics.org, but many months to come. They are key to our customer relationships. If we can communicate to them that we understand their world, they will be much more open to talking with us about their specific situation. Contrast this with the ineffective salesperson who calls up merely with features and benefits of what they are offering. They are going to have a much tougher time. We have gotten into a lot of deep ideas about selling over the past 45 days. Ideas other people are not teaching. I hope to see more interaction with you on these topics going forward. Do people ask to "pick your brain" for an hour, tell you you're a great person, and then disappear and never buy? Do prospects demand your quotation and then come back to fight for you to give more, or to lower your price? Do you feel proud of the fact that you can produce and send a detailed quote in a relatively short time, but also a sinking feeling in the pit in your stomach because almost nobody ever responds? These are all symptoms of why you're struggling in business. Having worked with thousands of business owners and consultants, I can share with you the ONE ultimate cause of their struggling to make ends meet from month to month. And that's why I wrote this report. It's on Kindle but you get it for free as my thanks for visiting SalesTactics.org. Absorb it. The single change is not difficult to make. You will have to watch your own behavior, though, to make sure you don't slip back into old habits--but more about that inside. Before we look at the report, I want to share with you a story from my past. It's about sales effectiveness--or should I say "sales INeffectiveness". In 1997 I graduated from college and went to work putting together a sales and marketing program for a worldwide distribution network for large power generation equipment. Our power plants cost anywhere from several hundred thousand to millions of dollars. I put together a beautiful set of binders containing everything a distributor would want: specifications, warranties, terms and conditions, and things I don't even remember anymore because it's been such a long time since. And I made a cost/price database that together with the revised quoting process I devised resulted in quotations that had taken 40 hours now taking 8. In other words, what had taken a week to do could now be done in a day. Our very pretty, very correct quotation and bid document could now be on the way to the prospect by international courier the day it was received. I was pretty darn proud of myself (I think I was 22 or 23 at the time). Look at how much time I had saved! And you know what we did? Produced a lot of paper. A LOT. Spent a lot of money on courier fees. Sure, you might get a dozen in a lifetime for million-dollar-plus industrial gas turbine gensets. But still...we weren't even getting close. And after all the clean-up work I had done with those equipment specs! We were spinning our wheels. Being proud of the speed I could turn out a quotation was stupid. That's clear to me now. But back then, I thought I was doing great work. Can you see what's missing here? All we were doing was responding to Requests for Quotation from information-seeking prospects. And we cheerfully, speedily provided them with their answers--for FREE! After all, that's how you had to play the game (right?). We didn't know any different. So what do you think the prospects were doing when they received all this free information from the many providers who jumped on submitting a detailed quote with a smile? We were filling filing cabinets with bid documents that went nowhere. Knowing then what I know now, if I went back in time (though I confess I don't want to--I like it here) I would be a lot tougher. I would not give out my precious information so readily. I would try to find out hidden needs the prospect had before ever thinking about maybe providing a quote. I would qualify first. And I would produce a lot fewer quotes. Much less paper. Far less work. I would free up my time to concentrate on the small number of 'real' projects that I knew some differentiating factor I could stand out with. Can you see why this report is so badly needed by each and every business owner and consultant? Writing up detailed quotations that don't get acted upon? Then you need to read this key report RIGHT NOW. Don't do anything else until you've finished it and understand what it has to say. Click on the image to open it as a pdf. No opt-in required. >> Want help with selling? Click here for proven expertise with Sales On Fire!